Elizabeth Cherevaty ND grew up receiving Naturopathic care as her family’s choice form of primary health care. Her experiences of finding health and healing through the extraordinary practitioners and unique tools of the Naturopathic profession inspired her to become a Naturopathic Doctor herself, in order to be able to help others in a similar way. Elizabeth graduated with Distinction from the University of Guelph in 2003, earning an Honours Bachelor of Science degree in Biomedical Toxicology. She worked as a toxicologist with the Canadian Centre for Occupational Health and Safety (CCOHS) and then joined the Natural Health Products Directorate of Health Canada as a safety and efficacy evaluator. She then went on to fulfill her lifelong dream of becoming a Naturopathic Doctor by completing the postgraduate, four-year Doctor of Naturopathic Medicine program at the Canadian College of Naturopathic Medicine (CCNM), the largest of Canada’s two accredited Naturopathic medical schools. 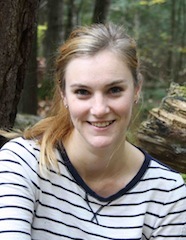 During her Naturopathic medical studies, Elizabeth was the recipient of the Advanced Orthomolecular Research Clinical Nutrition Scholarship and two NaturoMedic Bursary Awards. She completed elective rotations in northern India with Child and Family Health International (CFHI) and a clinical externship providing Naturopathic care in rural Kenya with the Foundation for Integrated Medicine in Africa (FIMAfrica). Dr. Liz has undertaken additional training and certification in the Bowen Technique with Dr. Manon Bolliger ND, FCAH, Mind-Body Medicine with Dr. Paul Epstein ND, and Hahnemannian Homeopathy with Dr. Joe Kellerstein DC, ND and Dr. Andre Saine ND, FCAH. She completed certification in Reiki in Rishikesh, India. Dr. Cherevaty is also a certified practitioner of Facial Rejuvenation Acupuncture, a specialized acupuncture treatment that provides restorative, anti-aging and cosmetic benefits for both women and men. Dr. Cherevaty advocates for quality health and self-care education. Her health articles have been featured in publications such as Integrated Healthcare Practitioners, Viva Magazine, Integrated Health Retailer and SpaLife Magazine. She is a regular health and wellness guest on Rogers Television’s Inside Guelph and frequently offers seminars to patients and community groups on a range of natural health topics. Elizabeth Cherevaty ND received the Guelph Tribune 2011 Reader’s Choice Award for Best Naturopath. Dr. Cherevaty is licensed and registered to practice Naturopathic Medicine with the Board of Directors of Drugless Therapy-Naturopathy (BDDT-N). She is a professional member of the Ontario Association of Naturopathic Doctors (OAND), the Pediatric Association of Naturopathic Physicians (PedANP) and the Association of Perinatal Naturopathic Doctors (APND). She devotes a significant portion of her family practice to the Naturopathic care of children and women in the childbearing years. She completed Naturopathic Doula training with the APND in 2011 and is pleased to provide birth support as a Doula for birthing families in Guelph. When away from the clinic, Dr. Liz enjoys keeping active by practicing yoga, running, skiing, gardening and being with nature. She is passionate about whole-foods cooking, organic, fair trade and local anything, empowered birth, international travel, original music and spending time with her two beautiful nieces. In her general family practice, Katie Thomson Aitken welcomes patients with all kinds of health goals and helps them achieve positive changes in their health and in their life. She has pioneered a unique integrative treatment program for anxiety known as Tranquil Mind. She has a passion for mental health, the management of stress and anxiety, and helping individuals connect with their higher purpose. Katie believes everyone can live a happy, healthy, and authentic life. Katie lives in Guelph with her husband Joel. When she is not working, Katie likes to go for walks in her neighbourhood, cook delicious food to share with friends, and sing along to the radio just a little bit louder than she probably should. Katie is now welcoming new patients into her practice and looks forward to connecting with you and helping you achieve your health goals! Are you ready to change your health and improve your life? Contact us to book a free health strategy session. We’ll help you discover the next step you need to take to reconnect to the good health you deserve.